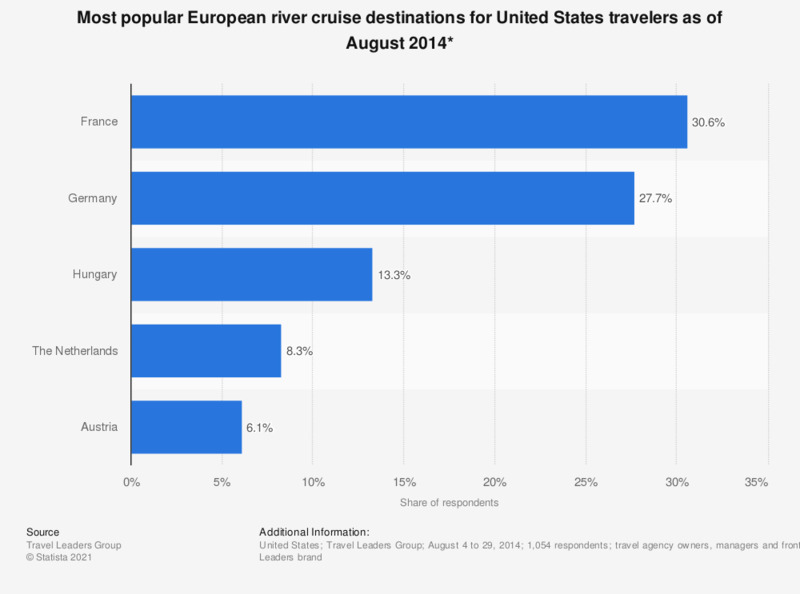 This statistic shows the most popular European river cruise destinations for United States travelers as of August 2014. During the survey, 27.7 percent of respondents said that Germany was the European river cruise destination U.S. travelers were most excited about. * Data is based on actual bookings as of August 2014. This question was phrased by the source as follows: "While many river cruises in Europe travel through multiple countries, what one country do your clients seem most excited about (either pre-trip or post-trip)?"